Super cute and delicious heart shaped jelly sweets that are suitable for vegans and are full of real pomegranate juice and made without any artificial colours or flavours. Made without the use of gelatine, they are also free from gluten, wheat, yeast, dairy, lactose and nuts. Made with certified organic natural ingredients. 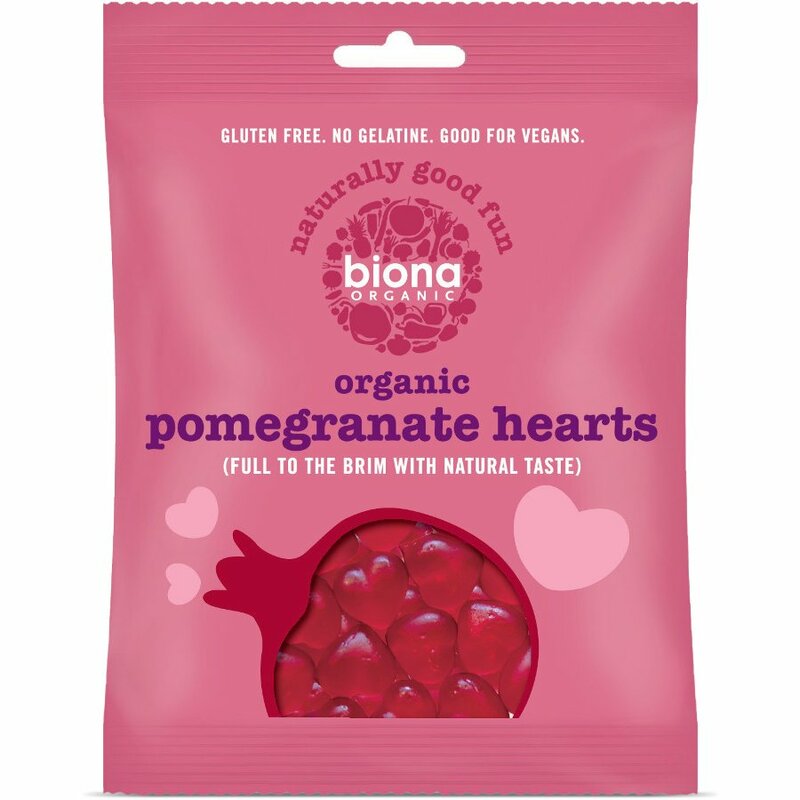 The Biona Organic Pomegranate Heart Sweets - 75g product ethics are indicated below. To learn more about these product ethics and to see related products, follow the links below. Oh my word, these are amazing!! As stated in other reviews, I’ve spent years trying to find vegetarian jelly sweets that are good quality and palatable and these tick all the boxes. We fight at home over these, they’re so tasty! So juicy and the right amount of sweet. There's quite little in a packet though. 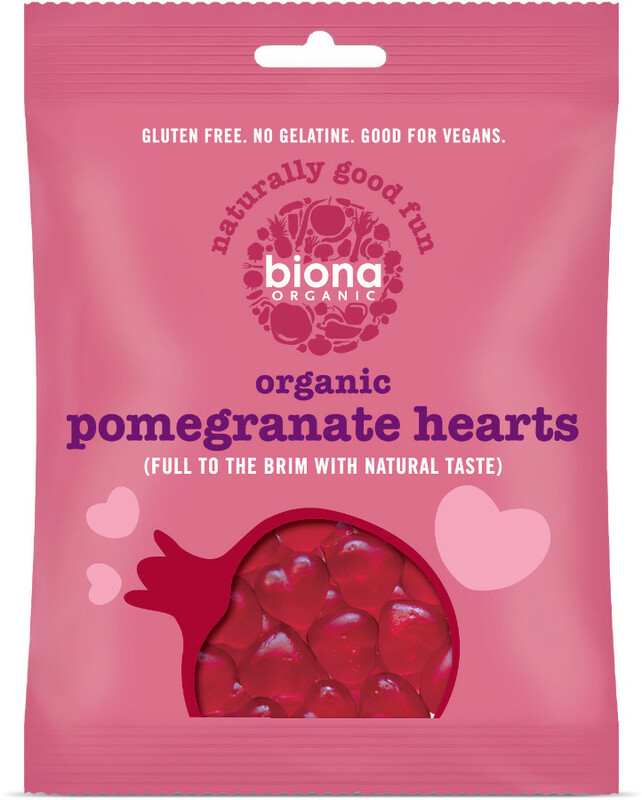 There are currently no questions to display about Biona Organic Pomegranate Heart Sweets - 75g.